Happy Mani Monday, friends! Tell me I'm not the only one beyond busy this season. The holidays are always a bit nutty and overwhelming with various commitments, but this year is the craziest I can remember. All good things going on, but there is just so much. I'm hardly finding time to take a breath, let alone sit down and paint my nails, but I do have a fun and simple Mani Monday for you guys. 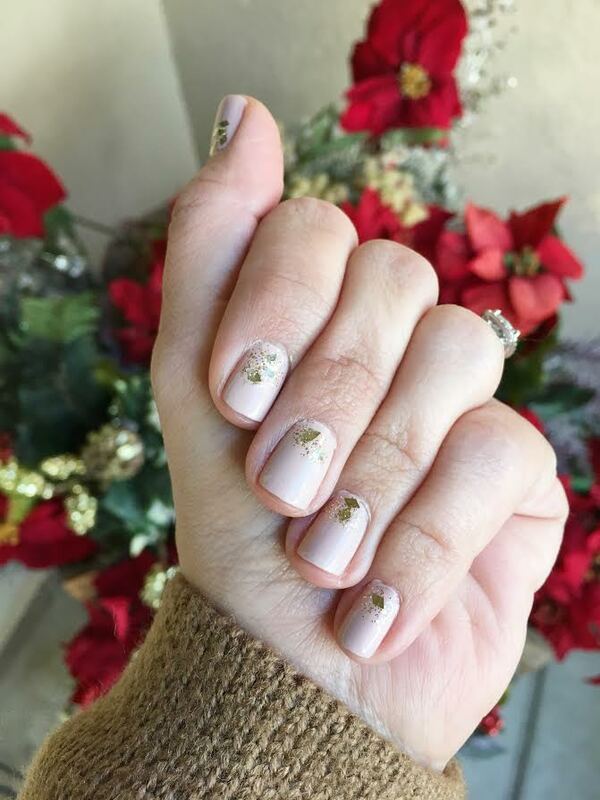 I did one two coats of one of my favorite nudes, Latte Run with one coat of Chantel, a chunky gold glitter by Julep at the bottom of my nails. Very simple, but I really like it! Are you rocking anything festive right now?